Hey there friends! I put together a couple grateful cards to send out thanks for some awesome volunteers that I work with at our church. 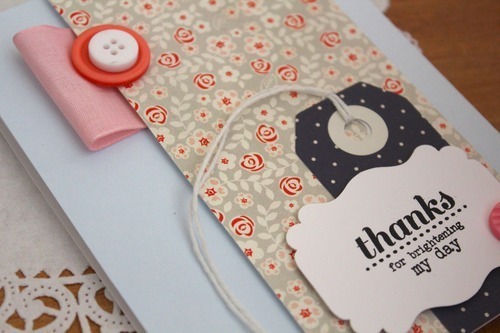 I wanted the cards to be very happy and colorful and fun, so I started with this floral background stamp. I used a few different colors and rock n’ rolled them together to create a blended look. I made a couple different versions of the same card. I die cut some butterflies out of white cardstock and vellum with Papertrey Ink’s Life Is Beautiful die set and accented them with a few enamel dots. The sentiment is stamped in black with Mama Elephant’s Many Thanks stamp set and is popped up with a bit of dimensional adhesive. 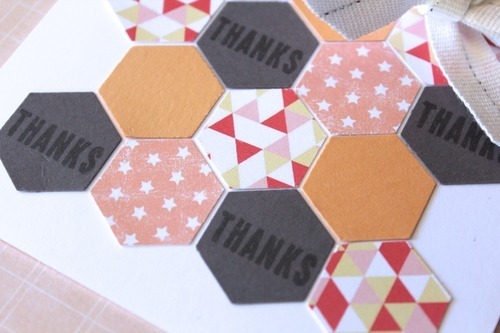 Why don’t we all give out a grateful card today? 🙂 Have a great week everyone! 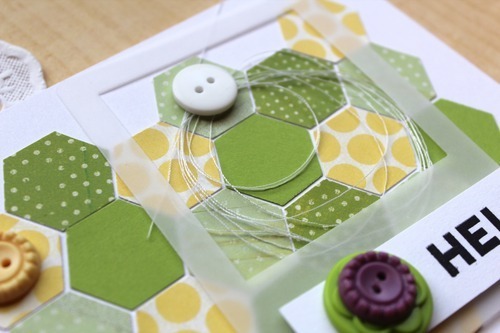 I have a couple fun cards for you today made with a new (to me) Fiskars hexagon punch I have. I put these cards together using a couple of older Studio Calico Card Kits and a frame die from Papertrey Ink. 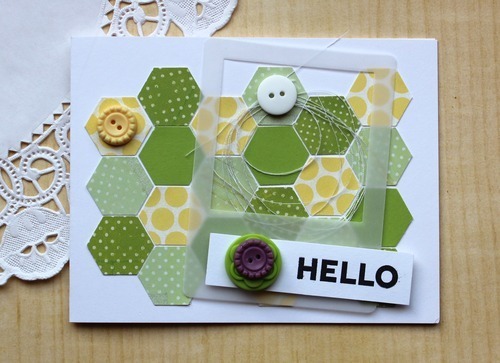 For the first card I stuck with the greens and yellow color tones and punched the hexagons out of multiple different pattern papers and cardstock. Hi and welcome! I am back from a very successful family vacation and ready to go with more cards! 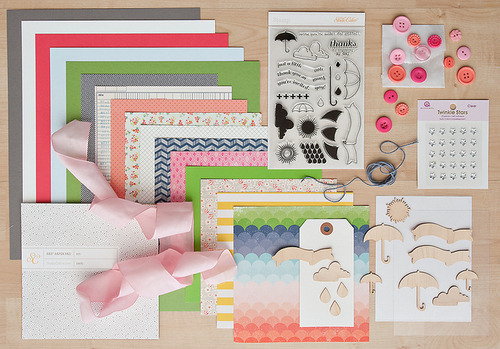 🙂 Today I am working with Studio Calico’s March kit, Office Hours which is still available! You can check it out here. The floral papers that came in this kit were some of my favorite papers… ever. I adore them! 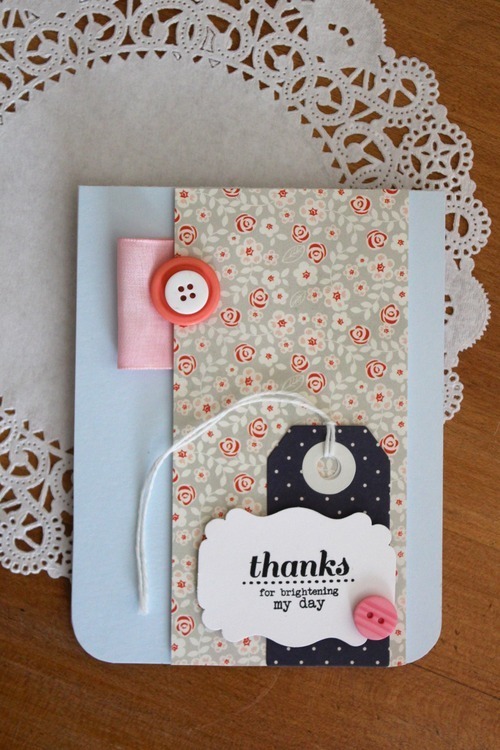 This card is a piece of light blue cardstock with a strip of floral pattern paper through the center. I attached a tag from an older SC kit to the front and stamped the sentiment onto a piece of punched white cardstock. I embellished with a bit of ribbon and a few buttons and rounded the bottom corners. This card is very similar to the first one. I used the Punch cardstock for the back and the same floral pattern paper in the front. 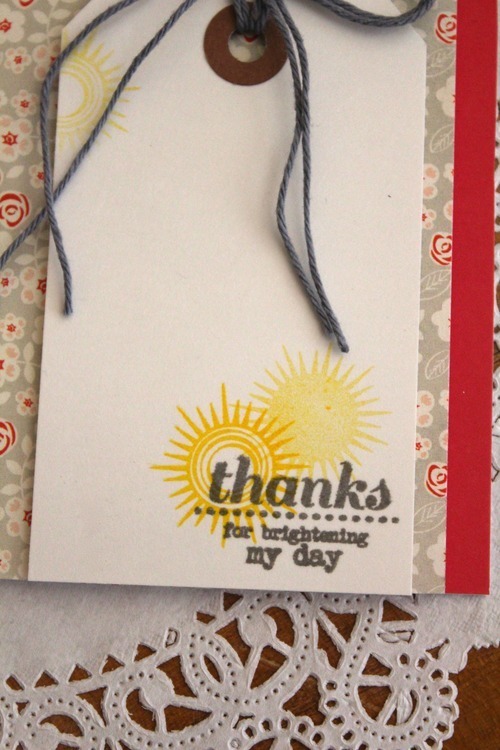 I used a larger tag (from this month’s kit) to stamp the suns and the sentiment. Looking back, I wish I would have used black ink on this sentiment. I definitely think it would have stood out better. 🙂 I tied a bow on the tag and left it pretty simple. For this last card I tried an unusual layout. 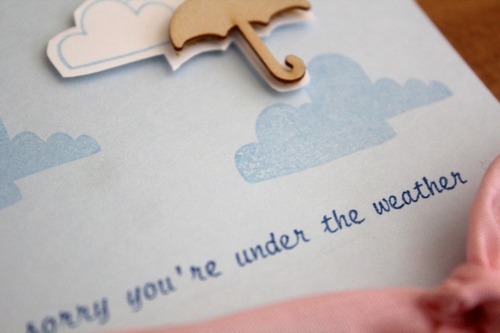 I stamped the clouds and sentiment on a piece of light blue cardstock. 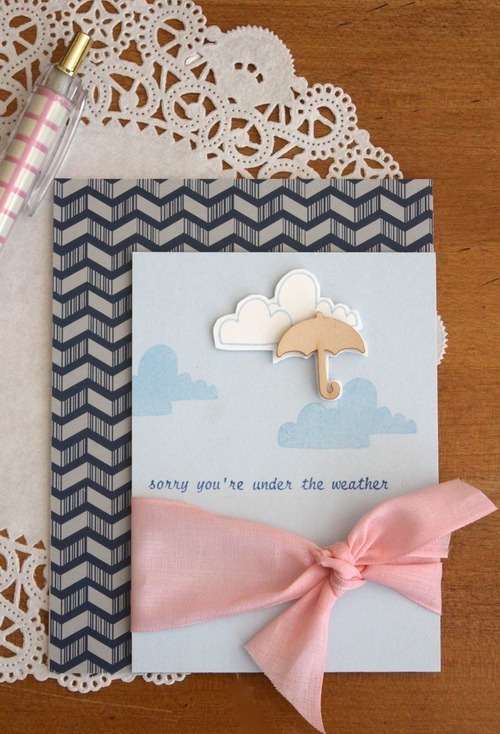 I stamped the cloud outline on white cardstock and used dimensional adhesive to attach the umbrella on top and then trimmed around them. I also used the dimensional adhesive to attach the cloud/umbrella to the blue cardstock. 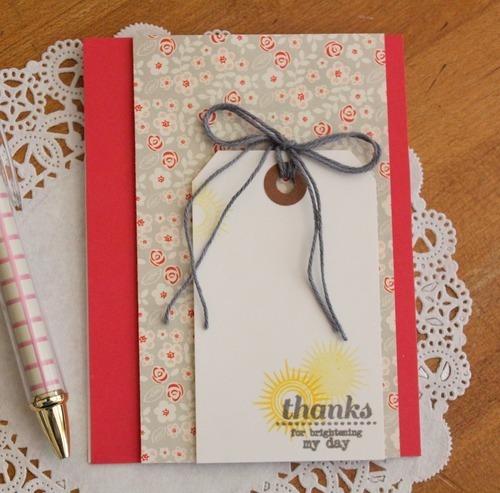 I tied the pink bow around it and attached it to the pattern paper and then the card base.